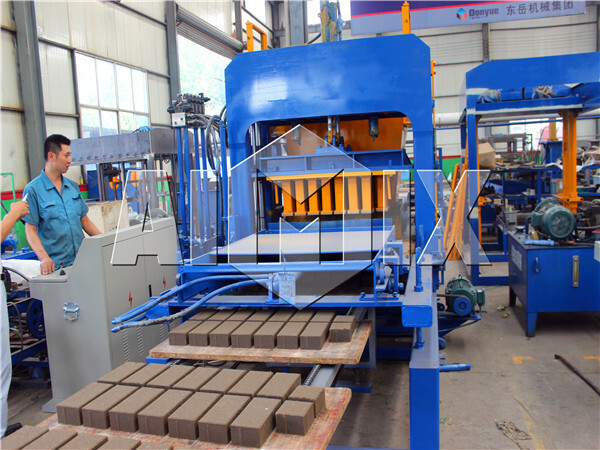 When molding bricks, the block molding machine usually has complex process. And many producers worry where they can get the materials and whether the materials are expensive. 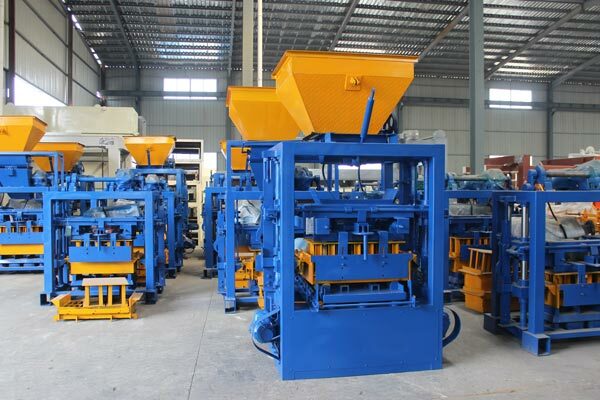 Since the professional brick made machine appeared on the market, the users will not worry. The raw materials of bricks are easy to get, such as slag, grave and sand. Even the construction rubbish and industrial waste can be used as the raw materials, so it is easy to get the cheap materials to make bricks. 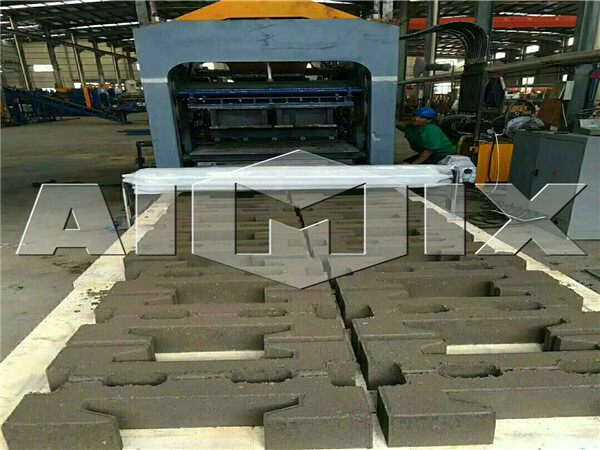 The bricks moulding machine provided by Aimix group, makes bricks without burning, and the simple process ensures easy operation. We have QT3-15, QT4-25, QT6-15, QT8-15, QT10-15, QT12-15 and QT15-15, no matter what capacity block machine you need, we can try our best to customize one according to your needs. QT3-15 can be equipped with a JW500 concrete pan mixer or JDC350 single shaft concrete mixer. QT4-25 can be with a JSS double spiral blades twin shaft concrete mixer, the discharge height is about 2m. QT6-15 can be equipped with JS500 twin shaft concrete mixer. QT8-15, QT10-15 and QT12-15 are equipped with JS750 twin paddle mixer. The various applications of the machine result from the replaceable mold. 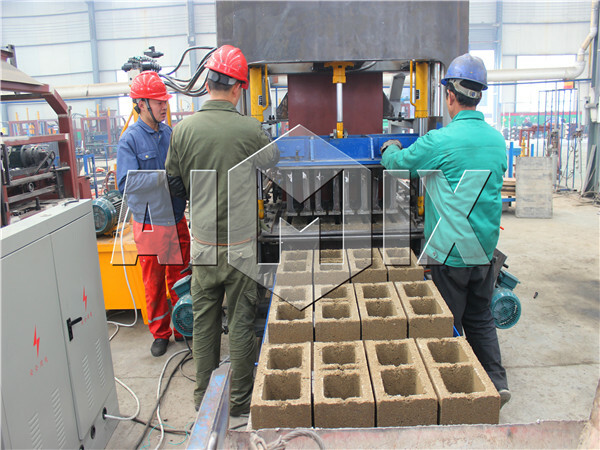 If the operators would like to produce the bricks with different specification or shapes, just change the mold. 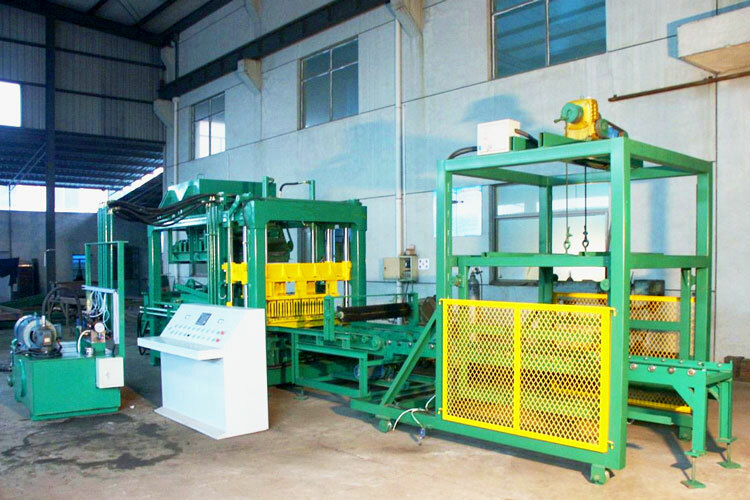 The machine can work as cement block molding machine and concrete bricks making machine, etc. And the cement bricks and concrete bricks are often used as wall materials. 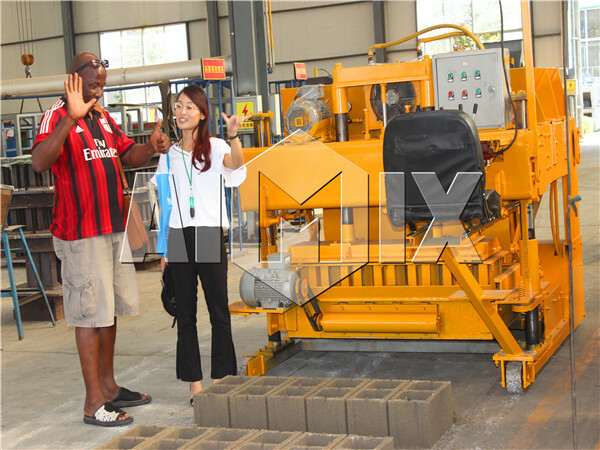 The interlocking brick is one of the productions of the machine, which is the main material to pave the road. 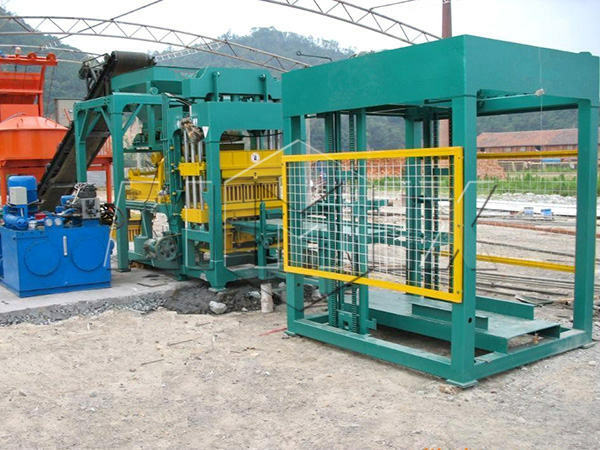 The machine can produce tree planting grass bricks, so that the machine can be used in the park and garden construction projects. 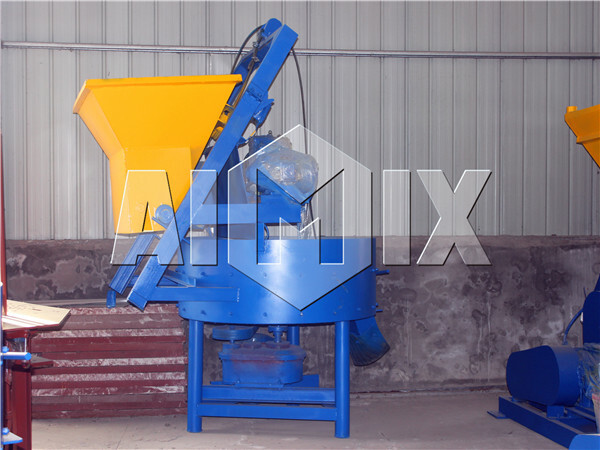 Compulsory mixing and distributing materials: The machine adopts the forcible mixer and distributor. 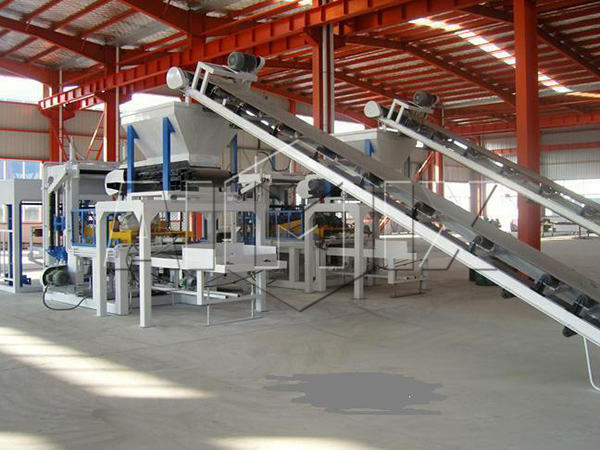 When the mixer starts to work, the mixing blades are driven by the rotating shaft, and then the materials were blended well due to the compulsory mixing. Before molding the bricks, the distributing box starts to wiggle. The motor drives the chain wheel to rotate, so that the the distributing tooth will rotate for 360 degree continuously and distribute the materials into the mold box evenly. The high-performance hydraulic system: the hydraulic elements and the sealing elements adopt the international famous brand, so that the hydraulic system has the features of long service and reliable performance. When the hydraulic system works, it will ensure the smooth running, reduce fly ash brick plant cost and decrease the emission of pollutants. 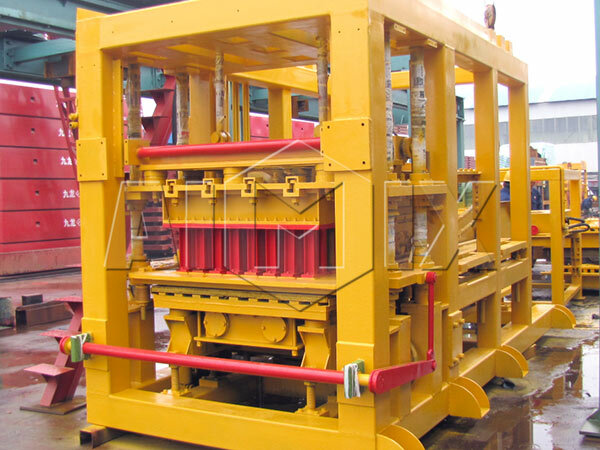 Special materials and technologies used in the block moulding machine: the body of the machine adopts the high-strength material, and it has big weight, so that the machine has the advantages of high shock resistance and wear-resistance. 5. 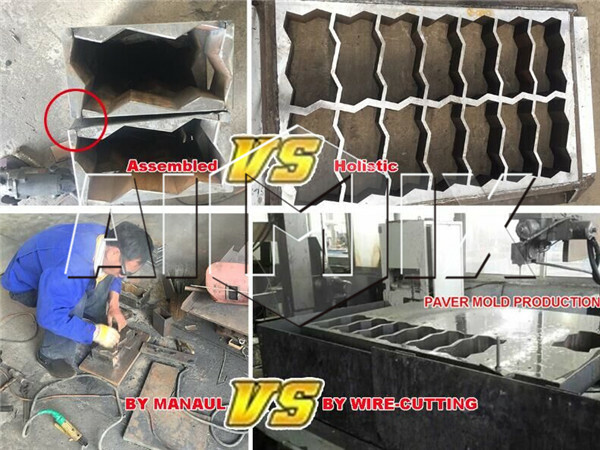 When the block molding machine goes into operation, should do a minor repair and check half a year, do an overhauling check once a year. 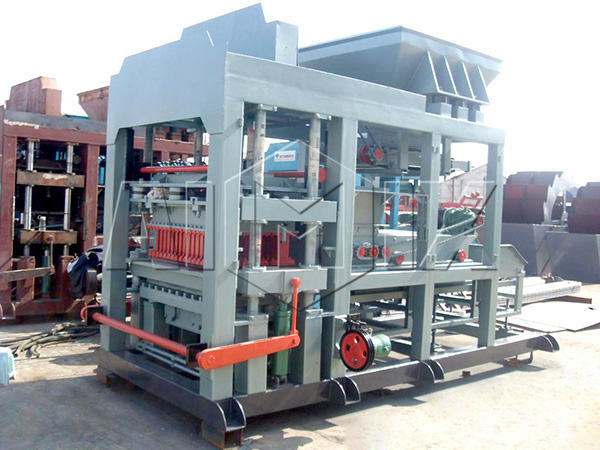 In order to get a brick making machine with top quality, it is advisable to purchase a machine from the reputable enterprise. 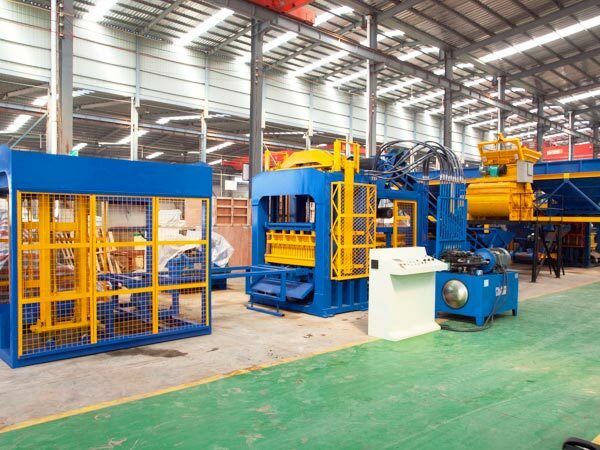 The reputable enterprise always has advanced technology to ensure the high performance of the machine, and the price of brick making machine is proper. 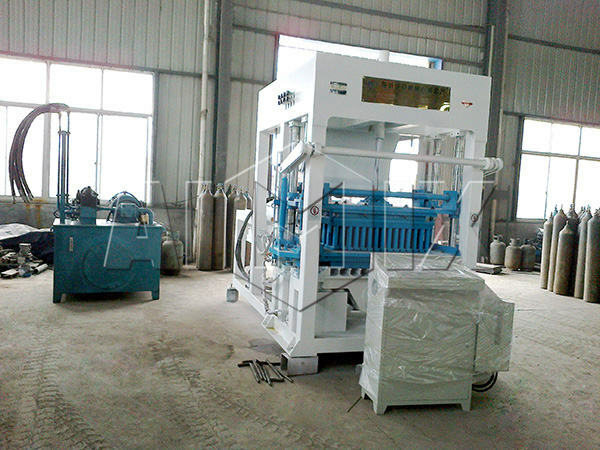 If you get a machine from Aimix, you will find it has excellent quality and reasonable price. The reputable enterprise will offer first-class service. 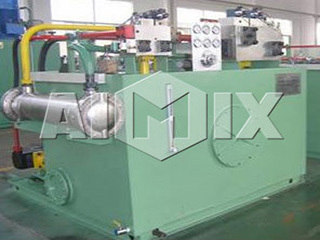 For example, if you are interested in the machine made by Aimix, we will help to select the most suitable one. We are glad to give technical support whenever the customers need. As a leading enterprise in manufacturing construction machinery, we Aimix has large business scope. 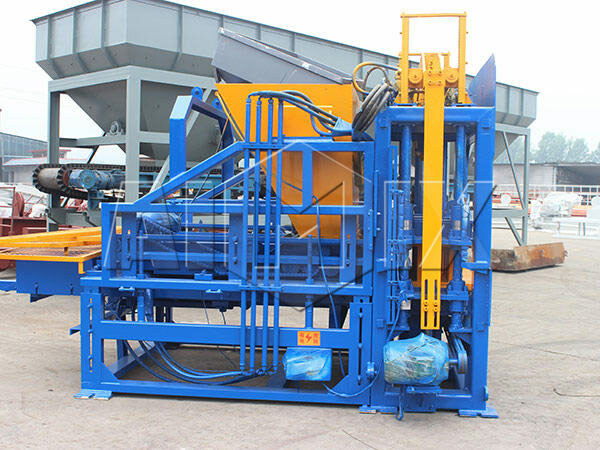 The brick moulding machine is one of the productions, and you can also get conrete mixer with pump, self loading concrete mixer and other construction machines from Aimix Group. If you are interested in them, please leave your message or e-mail us, and we will reply as soon as possible.